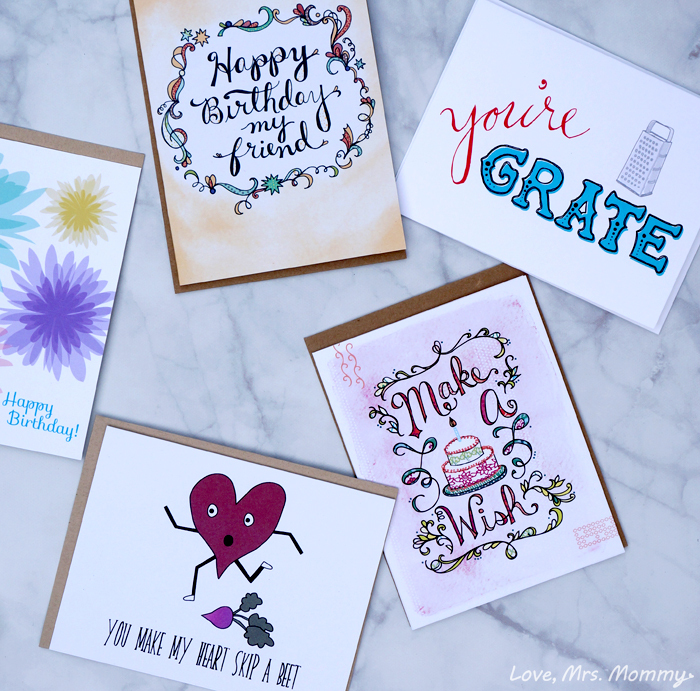 Love, Mrs. Mommy: Let’s Bring Indie to the Masses with Blow Birthday Cards! Let’s Bring Indie to the Masses with Blow Birthday Cards! I received these cards from Blow Birthday Cards at no cost to facilitate this review. All opinions are my own. Have you ever been to a birthday party and given the same card as someone else? Oh yes, it has happened to me and I have also been the recipient of duplicates as well. It’s always kind of weird, and you never know how to act, on either side of this situation. I usually try to pass it off as… great minds think alike. But, what if you could avoid this awkwardness altogether?! Sounds pretty great, right?! 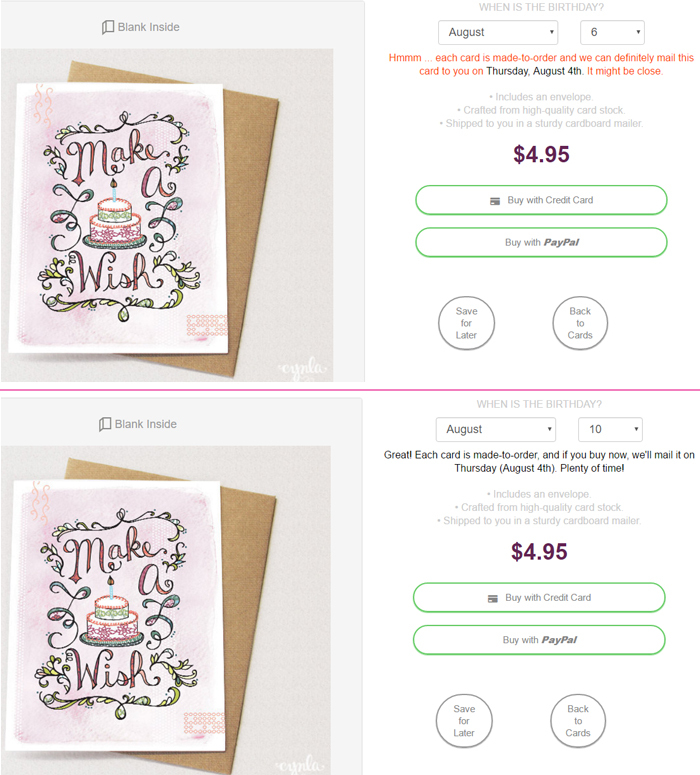 I am happy to partner with Blow Birthday Cards and tell you all about their unique, fun and artistic birthday cards! Blow Birthday Cards are a feast for sore eyes when it comes to avoiding the hum-drum monotony of shopping for birthday cards. 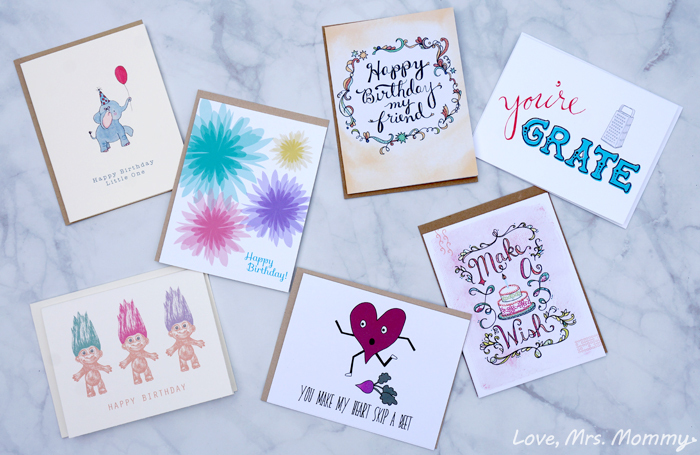 This is the world’s first birthday card store featuring independent cardmakers! They have the best selection of indie birthday cards in the world! No matter who you are looking to get a birthday card for, you will surely find it in their vast selection. They have everything from cards for your mom, dad, friends, and even your furry friends! How fun! While browsing through their selection, I came across a ton of cards that where absolutely perfect for my family and friends. They were just so perfect, that I couldn’t pass them up! From my hubby to my mom, and cousin to friend… I picked out 7 cards that will truly fit the bill. As all these cards are made by different artists, you purchase each card separately. If you are looking to make a purchase of one card or a bunch, it’s simple, easy and you will get an email notification when each card is being mailed to you. Pretty neat! When my cards came, they were like little presents arriving in the mail! I was so excited to see them filtering in and couldn’t wait to open them up. They were right on par with how they looked on the website and a lot of the cards came with personalized notes of thanks, as well as other personal touches from the artists. These little extras really made me feel great. This is not something you get from a “regular” card store. These cards were all handmade and designed by the people who were sending them to me and I love that. I appreciate the fact that Blow Birthday Cards is helping to bring the art of these amazingly talented artists to the masses. By purchasing cards designed and printed by the indie artist, you are not only getting a unique and individual card, you are helping to show support to the creative artists behind them. Which is great! 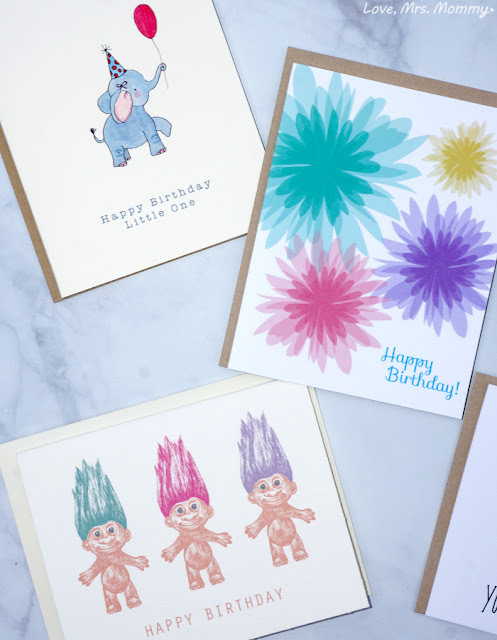 Next time a loved one’s birthday comes rolling around (it will be here before you know it), check out Blow Birthday Cards for your next card purchase! Connect: Find out more about Blow Birthday Cards by visiting their website. Buy It: You can purchase all the cards shown in this review and more on BlowBirthdayCards.com. Omgosh I love them!! So pretty and so perfect!! Plus totally competitive pricing with regular card brands!! What Adorable, Fun Cards. Thank you for sharing these awesome cards and site. I love ordering my own Special cards online for certain friends and family, & So Wonderful that they deliver the cards in a timely matter! These are great card Thank you for sharing.